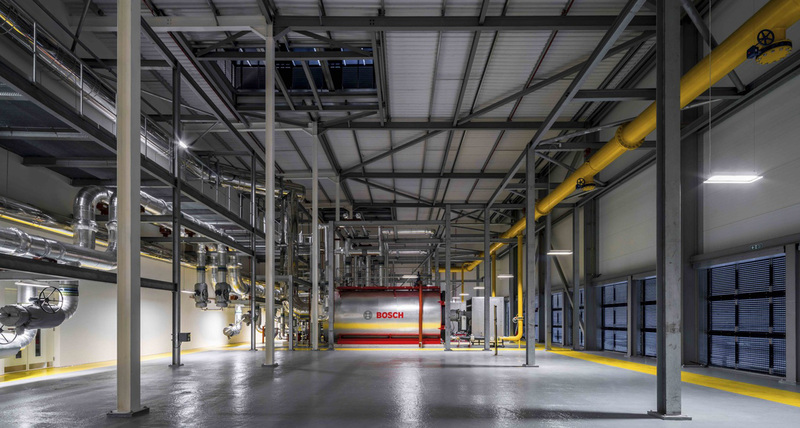 Europe’s largest new residential heat network – the Greenwich Peninsula Low Energy Center in London – saves over 20,000 tons of carbon every year. C.F. 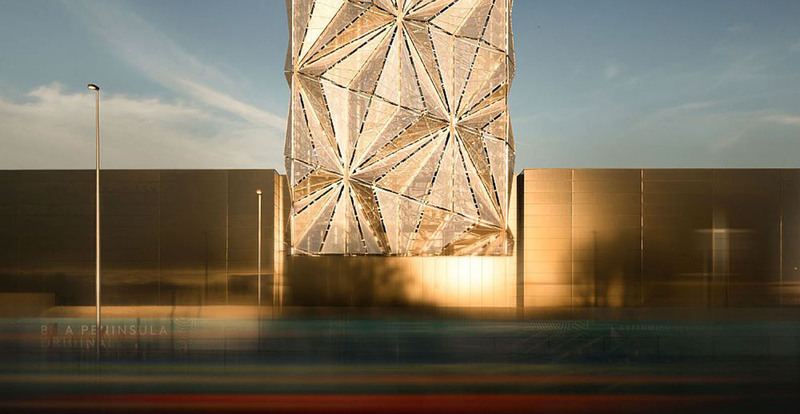 Møller Architects and British artist Conrad Shawcross designed the groundbreaking facility, which is clad in hundreds of triangular panels that fold and flow across the surface of the tower. The center won this year’s coveted GAGA Architecture Award for the most innovative and effective use of galvanized steelwork. The Greenwich Peninsula Low Energy Center sits at the entrance of the peninsula next to the Blackwall Tunnel Approach. 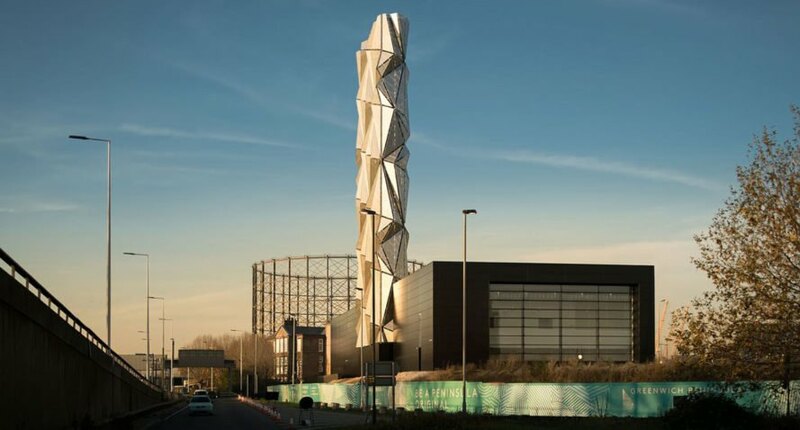 It houses boilers and CHP that provide heat energy to the businesses and homes due to be built in the coming years Its impressive appearance can be attributed to Conrad Shawcross. The artist designed the facade of the 160-foot (49 meter) high tower as a way of communicating commitment to sustainable and affordable energy for all. The perforated steel panels create a Moiré Effect, and facilitate animated patterns of light at night. Named ‘The Optic Cloak’ the structure is formed of hundreds of triangular panels – each the size of a London bus – folded across the surface of the tower forming complex geometric patterns. 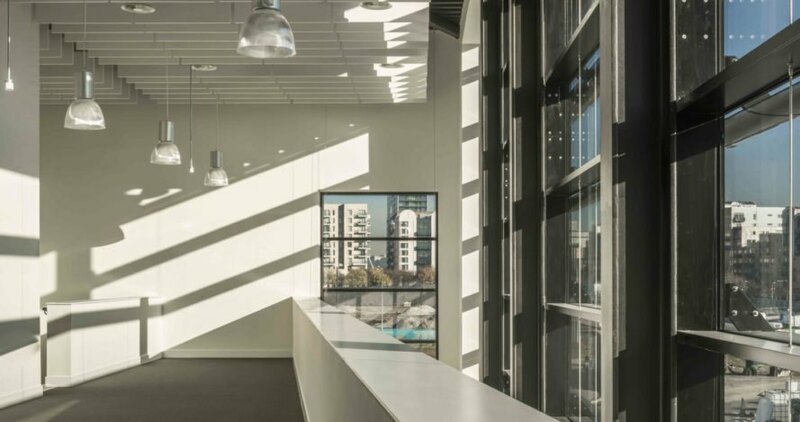 Europe's largest new build residential heat network in Europe- the Greenwich Peninsula Low Energy Center in London– saves over 20,000 tons of carbon every year. C.F. 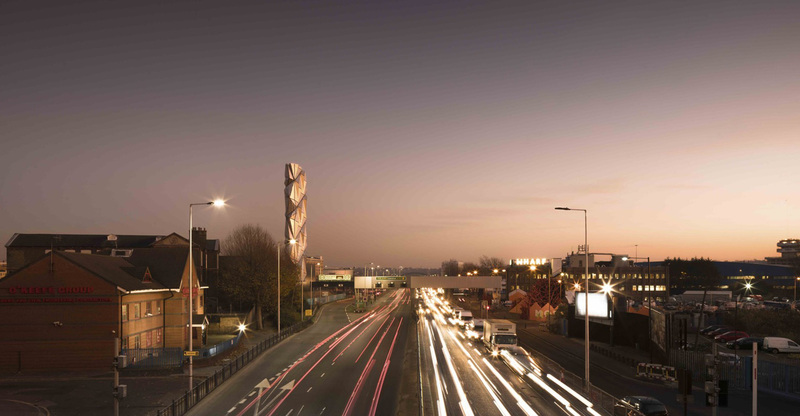 Møller Architects collaborated with British artist Conrad Shawcross in designing this groundbreaking facility clad in hundreds of triangular panels that fold and flow across the surface of the tower. The center has won this year's coveted GAGA Architecture Award, awarded to the most innovative and effective use of galvanized steelwork in architectural projects. The Greenwich Peninsula Low Energy Center sits at the entrance of the peninsula next to the Blackwall Tunnel Approach. 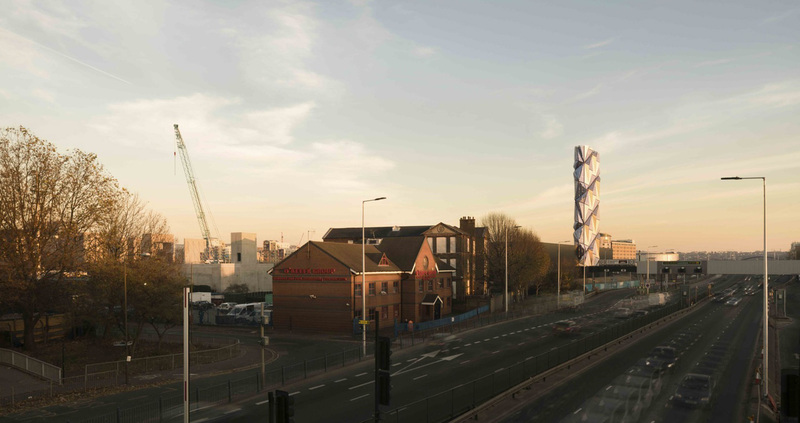 Its impressive appearance can be attributed to Conrad Shawcross. The artist designed the facade of the 160-foot (49 meter) high stack tower as a way of communicating the stakeholders’ commitment to sustainable and affordable energy for all. The perforated steel panels create a Moiré Effect, and create animated patterns of light at night. Named ‘The Optic Cloak’ the structure is formed of hundreds of triangular panels – each the size of a London bus - that fold and flow across the surface of the tower forming complex geometric patterns. 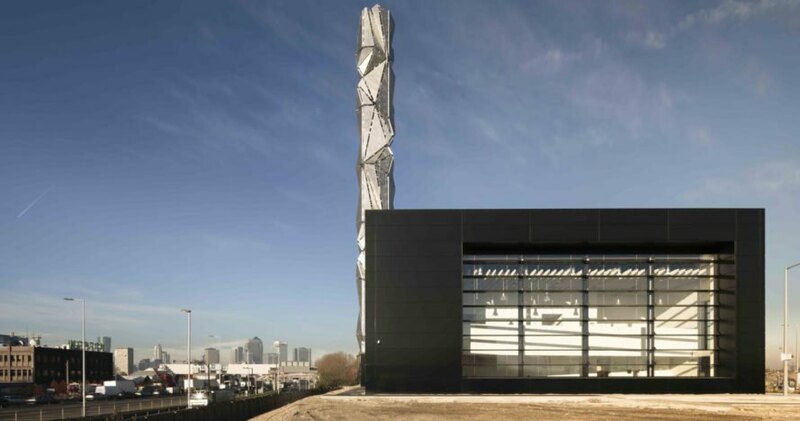 Europe's largest new residential heat network - the Greenwich Peninsula Low Energy Center in London – saves over 20,000 tons of carbon every year. C.F. 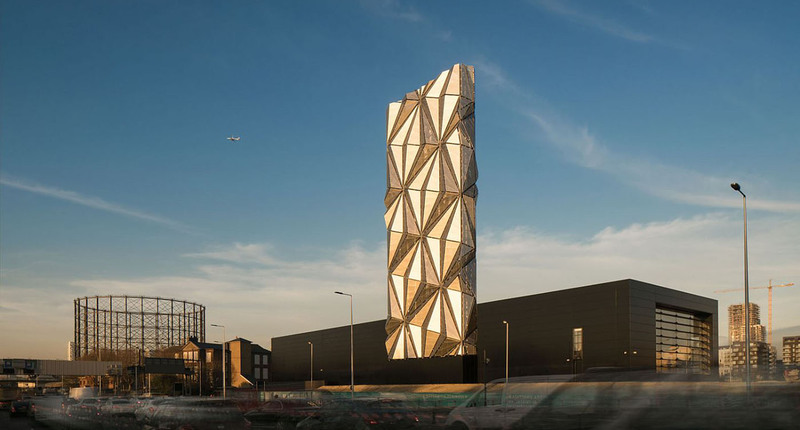 Møller Architects and British artist Conrad Shawcross designed the groundbreaking facility, which is clad in hundreds of triangular panels that fold and flow across the surface of the tower. The center won this year's coveted GAGA Architecture Award for the most innovative and effective use of galvanized steelwork.